A Ukrainian lawmaker made further allegations about secret funds said to have been paid to Donald Trump’s former campaign chairman Paul Manafort. Serhiy Leshchenko said he had evidence that Paul Manafort had tried to hide a payment of $750,000 by a pro-Russian party in 2009. Paul Manafort’s spokesman denied the claim as “baseless”. 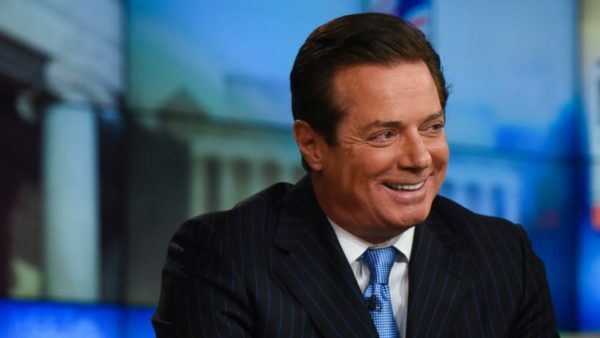 Paul Manafort was an adviser to former Ukrainian President Viktor Yanukovych. But he denies receiving any cash payments. He was forced to resign as Donald Trump’s campaign chairman in August 2016 over revelations about his ties to Viktor Yanukovych. Paul Manafort is one of a number of the presidential associates currently under scrutiny for possible contacts with Russia during the US presidential campaign. On March 20, FBI director James Comey confirmed for the first time that his agency was investigating alleged Russian interference in the election. On March 21, Serhiy Leshchenko, a former investigative journalist, published an invoice purportedly signed by Paul Manafort that showed a $750,000 payment for a shipment of computers to a company called Davis Manafort. The funds came from an offshore company in Belize via a bank in Kyrgyzstan. Serhiy Leshchenko said the contract was a cover for payments to Paul Manafort for his consulting services to Viktor Yanukovych’s Party of Regions. The lawmaker said the amount and date of the payment matched one of the entries on the so-called Black Ledgers (handwritten accounting books alleged to belong to the Party of Regions), where Paul Manafort’s name was mentioned. Paul Manafort’s spokesman Jason Maloni described the latest allegations as “baseless”, saying they should be “summarily dismissed”. President Viktor Yanukovych was ousted during mass street protests in Ukraine in 2014.